This comprehensive book is useful for Coast Guard Navik Recruitment Exam. This book included Study Material & Model Papers for the purpose of practice of questions based on the latest pattern of the examination. Detailed Explanatory Answers have also been provided for the selected questions for Better Understanding of the Candidates. This comprehensive book is useful for Coast Guard Navik Recruitment Exam. This book included Study Material & Model Test Paper for the purpose of practice of questions based on the latest pattern of the examination. Detailed Explanatory Answers have also been provided for the selected questions for Better Understanding of the Candidates. This comprehensive book is specially developed for the candidates of Coast Guard Yantrik Exam. This comprehensive book is specially developed for the candidates preparing of Coast Guard Yantrik Recruitment Exam. Being a sailor means to work on passenger ships, freighters and tanker ships, navigating sea vehicles and assisting with the maintenance, operation and service of these vessels. Indian Navy invites online applications from the eligible and unmarried male candidates for Sailor Entry in Senior Secondary Recruits (SSR) on the basis of Written Test, Physical Fitness & Medical Test. 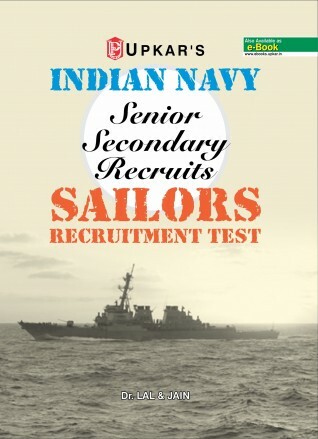 Present books for the recruitment of Indian Navy Senior Secondary (SSR) Recruitment Exam have been devised on the basis of latest examination pattern. The book is divided into 5 units, where each section has been subsequently divided into sub-units for topic wise preparation. Sufficient number of solved and unsolved questions on each topic has been provided for students to attain mastery of concepts to arrive at success in the exam. 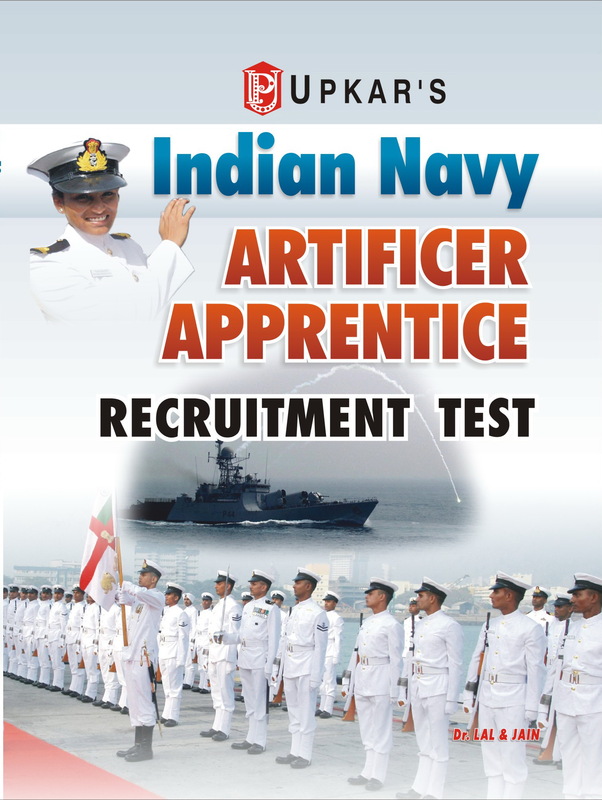 The Indian Navy recruits suitable candidates to the posts of sailors in Artificer Apprentice (AA). The post of sailor is an honorable job opportunity for the young male aspirants. The present revised edition for Indian Navy Artificer Apprentice Recruitment Exam has been divided into five parts according to the latest syllabi and examination pattern of the recruitment examination. Each part is sub-divided into number of chapters with ample number of solved problems, designed on the lines of questions asked in previous years' Examination. Practice exercises provided at the end of each chapter help the aspirants to practice the concepts covered in the chapter from the exam point of view and arrive at success. Indian Navy is a well balanced and cohesive and three-dimensional force, capable of operating above, on and under surface of the oceans, efficiently safeguarding or national interests. It invites applications of eligible male candidates for the posts of Steward, Cook & Topasses for batch course. Applicants with minimum height of 157 cms, chest with 5 cms expansion, weight proportionate to height and age are shortlisted on the basis of written and medical test before appointment. Present book for Indian Navy Steward, Cook & Topass Recruitment Exam has been framed keeping in mind the needs of aspirants preparing for the exam. The Exam syllabus has been covered accordingly in 3 segments. Each segment has been further divided into subsequent chapters’ along with ample number of questions from exam point of view. Conceptual clarity and sufficient practice material provided in the book will enable students to give their best in the exams. Given our vast expanse of seascape, far flung island territories and national interests, the life of Coast Gaurdsman is challenging and adventurous in an inimitable way. The Indian Coast Guard as a multi mission organization recruits Naviks or Sailors for General Duty and Domestic Branch, to enforce law and jurisdiction over territorial waters of India, including its contiguous zone and exclusive economic zones. Revised Edition for upcoming Indian Coast Guard Sailor Recruitment Exam has been framed in accordance with the latest pattern, to help the aspirants in their preparation. Divided in 5 sections, each section is further divided into sequential topic heads, comprehensively covers the exam syllabi. Ample number of practice questions on each topic from exam point of view has been covered to strengthen the core concepts and their applicability for exam. 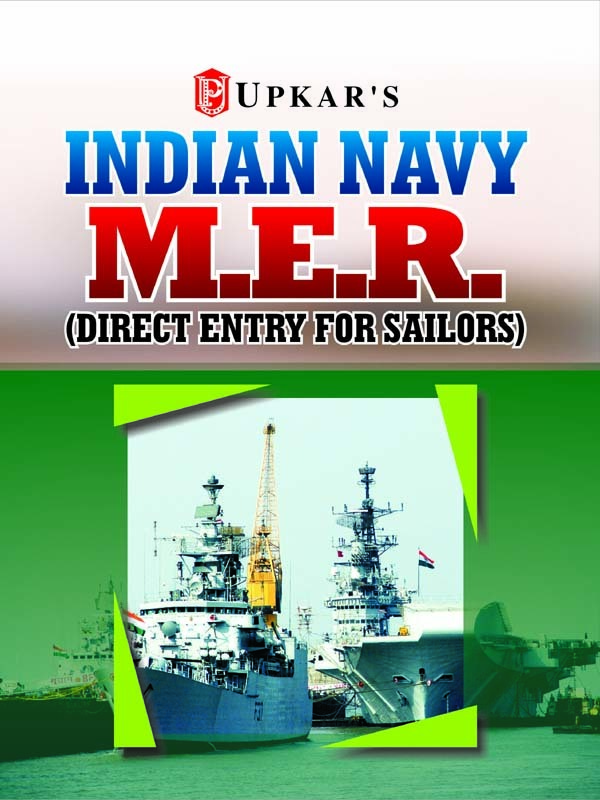 This comprehensive book is specially developed for the candidates of Indian Navy (SSR) Senior Secondary : Sailor Recruit Exam. This book includes Study Material & Test Paper (Solved) for the purpose of practice of questions based on the latest pattern of the examination. Detailed Explanatory Answers have also been provided for the selected questions for Better Understanding of the Candidates. This comprehensive book is specially developed for the candidates of preparing Indian Navy Steward, Cooks, Topasses Recruitment Exam. Detailed Explanatory Answers have also been provided for the selected questions for Better Understanding of the Candidates. The Indian navy’s silent but deadly sub surface fighting arm has undergone tremendous changes since the first Foxtrot submarine was inducted into the service on 8th December 1967. The submarines have been a complex mix of diesel-electric – nuclear propulsion; Soviet – Western – Indian design; and imported – licence – indigenous build. Be it a two man swimmer delivery vehicle or deep water Kilo’s and HDW’s or blue water Charlie I and Akula II class SSGN’s or strategic Arihant class SSBN’s, the navy has operated the entire spectrum of submarine types. The grit and determination of the submariners is not just limited to fighting but also to build their own machines and fight. The submarine arm is also a bit of mystery and usually finds mentions in few pages in naval books or makes headlines during accidents. The book traces the origin and growth of the submarine arm of the Indian navy. The book has been written in consultation with Cmde Arun Kumar, AVSM, NM (Retd.) who has served 28 years in the submarine arm and has headed critical submarine upgrade and procurement plans. In his twenty eight years of submarine career, he held various staff and command appointments. He was Commodore Commanding Submarines (East) & Commanded INS Virbahu, the submarine base in the East which is still regarded as the ‘Alma Mater’ by the submariners of the Indian Navy; commanded the guided missile destroyer Rajput; and the Submarine Training school Satavahana. His last appointment in service was Principal Director of Submarine Acquisitions at NHQ. VAdm K.N Sushil, PVSM, AVSM, NM, ADC, Former Chief Southern Naval Command (Redt.) has written the preface. Cmde Ranjit B. Rai (Retd.) has contributed 3 chapters to the book. Longer period in submerged condition has been an important objective of submarines since early days and the propulsion has played a key role. The book catalogs evolution of submarine propulsion and has insights to development of nuclear propulsion by US, USSR, UK, France, China, India, Brazil and Argentina. The Indian experience of developing a land based nuclear propulsion prototype and its nuclear submarine INS Arihant has been described. Experts from France, Brazil and Argentina have contributed chapters on the projects from their respective countries. The book describes probable deployment of submarines in different parts of the world. The chapters include basic principles that are required to be followed when deploying them on operational and tactical missions. The book is particularly useful for the newer submarine operating navies around the world. Contents;- The Undersea Environment, The Submarine, Submarine Control, Deployment Strategies, Passage Planning, Deployment Areas, The Arctic & Atlantic Oceans, Pacific & Indian Oceans, Actions By The Submarine, Survivability Considerations, Evasion At Sea, Intelligence Reconnaissance, Ssk Operations, Torpedo Attacks, Operational/Tactical, Missile Attacks, Mine Laying Operations, Submarine Communications, Operating In Complex Environments, Submarine Rescue, Remotely Operated Vehicles From Submarines, And Crystal-Ball Gazing. On December 30, 1999, the then Atal Bihari Vajpayee Government took an unprecedented step of sacking it’s temperamental but bright navy chief Admiral Vishnu Bhagwat for ‘defiance of civilian authority’. This is an impartial account of the incident which shows that the swords were drawn against him much before he became the naval chief and the legal battles he fought to gain his rightful place. It also recounts the events leading to the withdrawal of the President’s pleasure in respect of the Chief of the Naval Staff – the constitutional and legal norms which should have been duly followed. The study of computational ballistics is one of the most challenging scientific endeavours, not only because of the diversity of time and space scales involved in practically all problems, but due to its interdisciplinary character. Interest in ballistics has grown considerably recently as a result of the complexity of the political and military situation in many parts of the world. The classical subdivision into internal, external and terminal ballistics now encompasses numerous applications on how to model and protect against accidental or man made explosions. Many other civilian applications of ballistics are also of growing importance as impact, crash and blast problems are a byproduct of more sophisticated techniques involving dimensions and speeds impossible to achieve a few years ago. This volume contains papers presented at the Third International Conference on Computational Ballistics. The volume covers the following topics: fluid flow aerodynamics, interior ballistics, terminal ballistics, experimental mechanics/ballistics and field testing, new developments in computational techniques, and systems and technology.